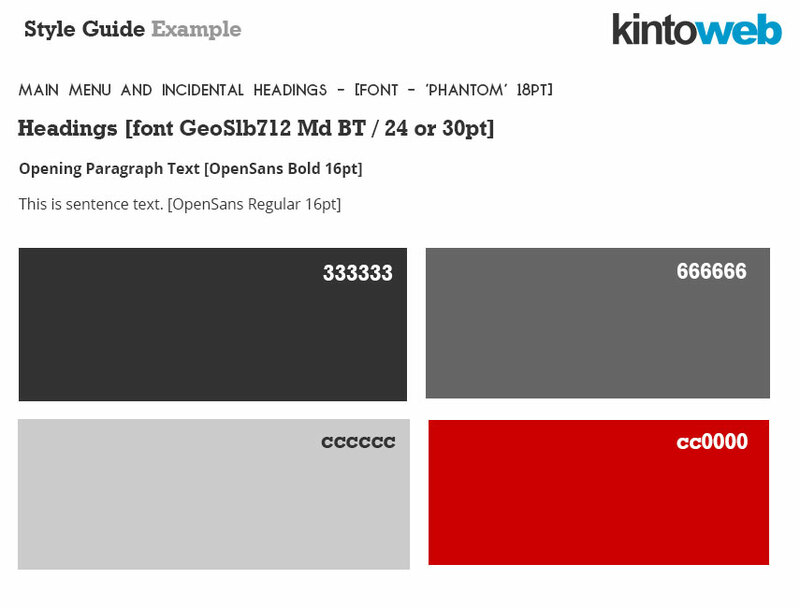 All Kintoweb projects conceive a styleguide as part of the initial design process; this is a document which contains all the relevant stylistic information for the design of your website. Styleguides are normally closely linked to existing company branding and stylization. Colours, fonts, layouts, text formats, logo usage, supporting graphics and general look and feel of a site are formulated from and anchored here.